Besides having widely varying capabilities, ERP products come with a number of hosting options, such as using a SaaS ERP system or a two-tier approach. Two-tier ERP is a technology strategy used by large, multinational enterprises that use tier 1 ERP for financials and other core common processes at the corporate level and tier 2 for divisions, subsidiaries and smaller locations of the company to address specific needs. In fact, cloud ERP is the preferred deployment option for most businesses. A survey of IT and business professionals from research firm Mint Jutras found that 90% of companies favor some form of cloud ERP over traditional on-premises ERP. With so many options available, one of the critical first steps before purchasing ERP is identifying organizational needs. Doing so can help filter out the cloud ERP vendors that may not be a good fit because they can't offer the necessary functionality or performance. While it can be a challenge to navigate the cloud ERP waters, some leaders have emerged in the market, each with its own unique functionalities and abilities that work for a range of organizations in a variety of industries. The company needs to develop an overarching enterprise strategy so that its IT strategy aligns with the goals of the organization. This will not only help define the direction the company goes in when selecting cloud ERP vendor software, but also which tools it will need to head in that direction. From there, companies must evaluate and filter system capabilities to understand which cloud ERP system makes the most sense. It is also important to put thought into external considerations, including customer and supplier impacts. Defining requirements and capabilities can uncover the company's true needs, and further prioritization can help separate real needs from wants. In the earlier era of cloud and SaaS ERP offerings, cloud services differed greatly in certain areas of functionality and pricing. But with the growth of the cloud, those distinctions have leveled out. As it stands, the differences between traditional ERP providers moving to the cloud and born-in-the-cloud ERP vendors are less significant. As born-in-the-cloud and SaaS providers mature and traditional ERP vendors continue investing in their own cloud services, the differences will dwindle. As a company evaluates the various cloud ERP software suites, it's essential that it articulates its organizational needs and becomes educated on the focus and capabilities of the software. In a survey, analyst firm Mint Jutras found SaaS has become the preferred deployment option for ERP. Larger enterprises in search of cloud ERP software generally need a system that covers a range of services. Some systems can offer robust functionality due to the various options and modules that cloud ERP vendors offer. The drawback is that some prepackaged modules or services may not be entirely necessary. Both SAP and Oracle are long-established leaders in the traditional ERP scene that have moved toward cloud services. This is great news for bigger industries that have the resources to invest in software and are not afraid to pay out for viable vendors. S/4HANA Cloud is SAP's next-generation cloud ERP business suite. S/4HANA Cloud, a SaaS version of S/4HANA, is best suited for organizations of 1,500 employees or more that want to run a two-tier ERP system. With this, a corporate entity runs a full business suite on premises -- such as SAP ERP Central Component or S/4HANA -- and implements S/4HANA Cloud at the division or subsidiary level. S/4HANA Cloud includes next-generation technology, such as machine learning, via a tool called SAP Clea and a conversational digital assistant bot called CoPilot. S/4HANA Cloud is a SaaS application with new editions released every quarter. Oracle ERP Cloud is a suite of cloud applications for project management, procurement, finance, risk management and other core day-to-day business activities. Built from the ground up with a modern architecture, Oracle ERP Cloud connects natively with all Oracle enterprise cloud applications. It scales to enable you to add users, transactions and sites as your business grows and expands into new markets. For larger enterprises, Microsoft offers Dynamics 365 for Finance and Operations (D365 F&O), which provides capabilities for manufacturing, logistics and fulfillment, financial management, retail and commerce, planning, and product design. Microsoft is a more cost-effective option than tier 1 options like SAP or Oracle and it's easier to implement. Because it's built on the Microsoft infrastructure, D365 F&O syncs and integrates with other Windows business applications. Cloud ERP vendors offer SMB software that tends to be more industry or functionally specific to meet a more diverse selection of business needs. As opposed to the larger corporate giants, SMBs are more prevalent across a wider variety of industries and may have drastically different requirements for their ERP systems. Many ERP vendors on the market today showcase how their product capabilities can meet industry needs, and the list of options is as long as it is varied. Here are just a few. Epicor Software Corp. provides SaaS ERP software geared toward the manufacturing, distribution, retail and services industries. Epicor also specializes in the lumber and building industries by offering professional estimation, dispatch and delivery, millwork, and construction services applications. Infor CloudSuite offers enterprises finance, supply chain, human capital management, customer relationship management (CRM) and marketing ERP functions. These support a number of industries, including manufacturing -- auto and defense -- food and beverage, healthcare, and the public sector. However, hospitality companies may be interested in the Infor CloudSuite modules that meet the specific needs of hotel, gaming and entertainment companies. Infor also offers a hotel property management system that provides employees with access to information about guests and prospects. This tool enables them to quickly assess each booking and offer real-time recommendations during guest interactions. IFS Applications is an ERP product that targets enterprises in the manufacturing, aerospace and defense, construction and engineering, utilities, and oil and gas industries with a focus on project-driven systems. This includes applications built for field service management and maintenance and asset management that help organizations track asset-intensive projects, manufacturing and services. For SMBs selling services to the U.S. government, Deltek Inc. is a valid option for cloud ERP software because of its project accounting functions. Deltek's core markets split into professional services and U.S. government contracts. The company specializes in cloud applications to track hours and billable activities by engagement, department and other categories. Deltek also focuses on project-based businesses in a variety of industries, including healthcare, management and IT consulting, as well as energy, oil and gas. Another cloud ERP vendor that puts an emphasis on requirements and traceability is Plex Systems Inc., which made a name for itself in manufacturing and industries that need to fulfill strict requirements in areas of traceability, quality and food safety. The Plex Manufacturing Cloud assists life sciences and medical manufacturing businesses that need to manage batch and flow manufacturing with a well-integrated, modular ERP software system. The Plex Manufacturing Cloud also enables both discrete and process manufacturing in the same facility and complies with various automotive manufacturing regulations. QAD Inc.'s Cloud ERP is also viable cloud ERP software for manufacturers. Through multiple acquisitions, QAD has built an ERP system that helps support businesses in verticals such as the automotive, food and beverage, consumer products, tech, and life sciences industries. QAD states that QAD Cloud ERP can be advantageous for medical device and biopharmaceutical manufacturers that need support with acquisitions and divestitures because its cloud ERP software puts an emphasis on quality-oriented business processes and reduces the risk of product noncompliance. An increasingly popular cloud ERP system vendor is NetSuite Inc., owned by Oracle. NetSuite, which a variety of organizations have implemented, offers an easy-to-use platform designed for all the users in an organization. Companies can access NetSuite via any device at any time. Companies in such industries as manufacturing and distribution, professional services, energy, nonprofit, and education can use this native SaaS leader's software. NetSuite's services predominantly serve midsize businesses and large enterprises, so the software is often more expensive than some competitors. If the above options are too broad or still not flexible enough, there are plenty of other enterprise applications worth considering that offer clearer functionality and integrate with ERP systems. For instance, Salesforce is a leader in CRM that supports sales teams. Acquired by Adobe Systems, Marketo is a cloud-based marketing platform for all types of organizations that are looking to boost their digital marketing efforts. Workday is a cloud-based human resources, payroll and accounting system. Sage Intacct and FinancialForce have gained ground in the area of finances, while Xactly is paving the way in compensation and incentive management. In essence, there are multiple cloud ERP vendors to choose from. The specific capabilities these packages offer often positions them as powerful additions, and sometimes alternatives, to ERP systems. Which cloud ERP vendor is a good fit for your company and why? Which cloud ERP vendor do you believe is a good fit for your company and why? Maybe he differences between traditional ERP providers moving to the cloud and born-in-cloud ERP vendors are becoming less significant, but traditional providers are terribly expensive and also their software is made like in late 70-s. 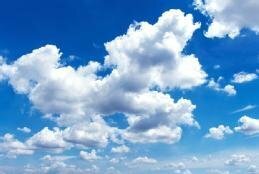 The cloud offers obvious benefits but also some important challenges. First, cloud ERP doesn't always offer robust features, especially for industries like manufacturing. Second, the cloud can get expensive in the long term. Also, cloud buyers aren't much more satisfied with cloud vendors.